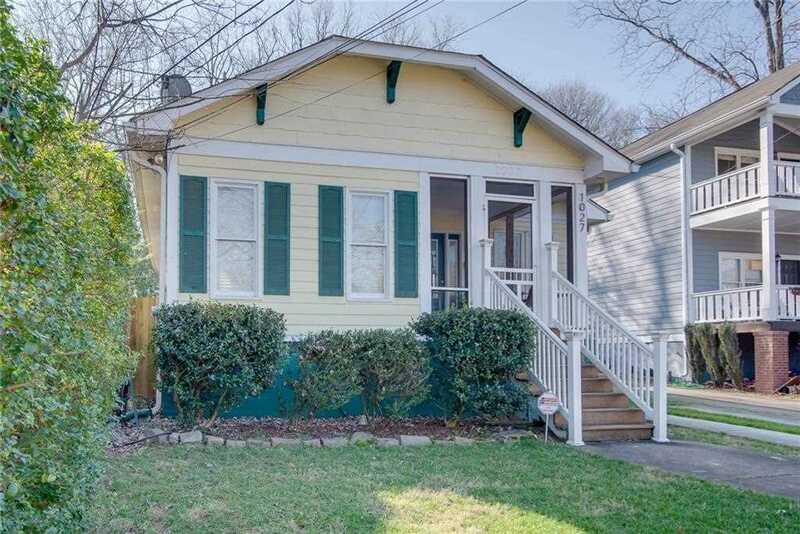 Located in the heart of Reynoldstown this endearing 2 bd/2 ba is move in ready. This home features a covered screened in front porch, hardwood floors, lg master bd, stunning renovated master bath w/custom walk-in closet, bonus room off of the master bd, recently updated kitchen with SS appliances, separate dining room, big 2nd bath, 3 decorative fireplaces, an entertaining deck on a large level lot with separate shed and off street parking. This home is an easy walk to Park Grounds, Beltline, Krog St. Market, Inman Park - shopping, entertainment & restaurants! Directions:From I-20 take Moreland Ave North. Left on Kirkwood Avenue. Travel 2.5 blocks. Home is on the left. SchoolsClick map icons below to view information for schools near 1027 Kirkwood Ave SE Atlanta, GA 30316.